Possums have three molar teeth present on each side below and above. The lower third premolar is the tiniest one while the upper third premolar has a single point. 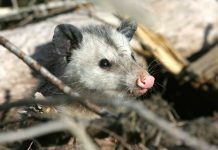 The North American opossum has 50 sharp teeth. 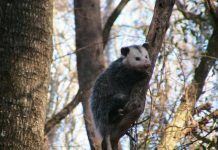 Virginia opossum has probably got the maximum number of teeth of any North American mammal. Unlike American opossums, the Australian possums aren’t only comparatively smaller they have got fewer teeth. For instance, the honey possum (Tarsipes rostratus) has very few teeth of any marsupial. It has only eleven teeth on each side of its mouth. Ringtail possums are mainly recognized by their sharp pointed molar teeth one that is strong enough to cut and chew leaves as well as fruits and blossoms. 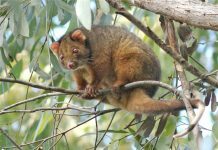 The brushtail possums do not seem to possess high and sharp teeth as those found in ringtails.